Pumpkins on the porch, mums planted and the house smells like apple cider and cinnamon. No more candles for me… I’m now diffusing essential oils to fill my home with fragrance AND get some added health benefits. Citrus Fresh (3-4 drops) – This refreshing blend combines Orange, Tangerine, Grapefruit, Lemon, Mandarin, and Spearmint oils. It is purifying to the air and helps with focus and energy. *If you don’t have the Citrus Fresh blend, orange or tangerine will work too. 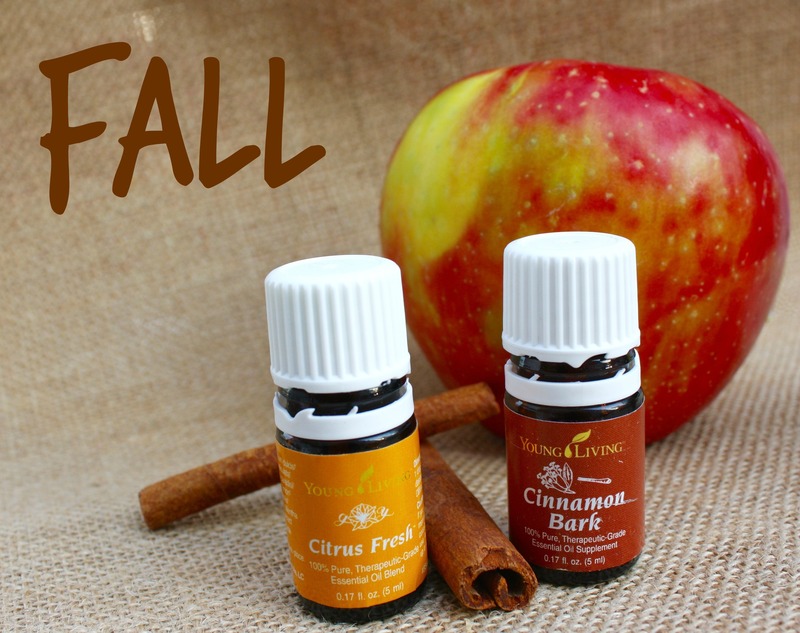 Cinnamon Bark (3-4 drops) – This is a powerful oil for boosting the immune system and is perfect for the sniffles that Autumn brings. For a variation, sub a couple of drops of Thieves blend for cinnamon as an additional immune boosting & disinfectant, with the added notes of clove and rosemary. Peppermint (2 drops) – Peppermint stimulates the mind, helping you focus. It is also great for the respiratory system and to soothe digestion. Lemon (2 drops) – Lemon is an invigorating and warming fragrance. It helps to cleanse the air, to boost immunity and promote relaxation. Valor (2 drops) – The Valor blend originated with Roman soldiers who put it on to promote courage before going into battle. It instills great confidence and promotes alignment of the spine. This blend contains Spruce, Rosewood, Blue Tansy and Frankincense. 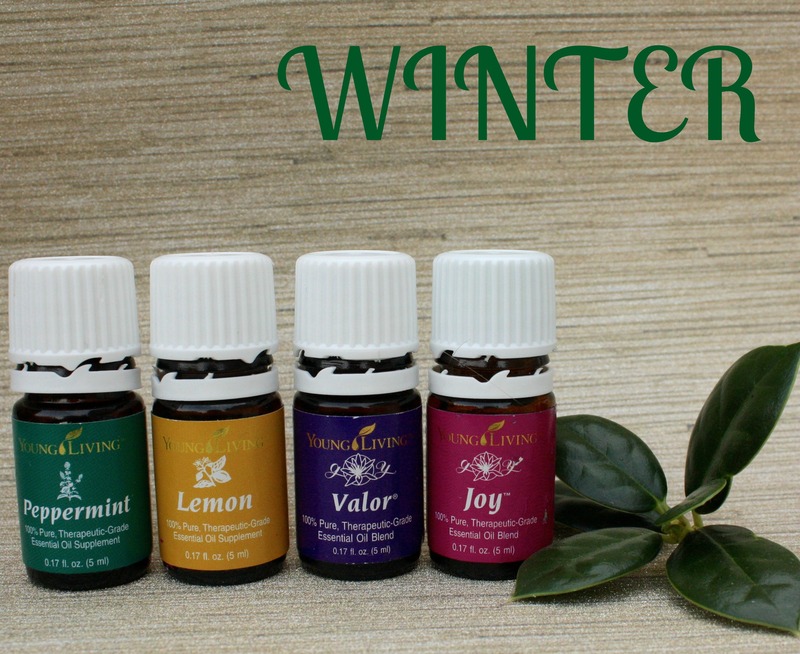 Joy (2 drops) – One of my favorite blends for the wintertime blues, Joy promotes positivity and hope. It eases tension and brings harmony to the household for those days everyone is stuck inside. Joy contains a blend of some amazing oils: Bergamot, Ylang Ylang, Geranium, Lemon, Coriander, Tangerine, Jasmine, Roman Chamomile, Palmarosa and Rose. If you’re looking for a new perfume this Christmas, I’d highly suggest this fragrance! Ylang Ylang (2 drops) – This romantic oil promotes hormonal balance and confidence. Clary Sage (2 drop) – Clary Sage has notes of blooms in a spring garden and is very calming. 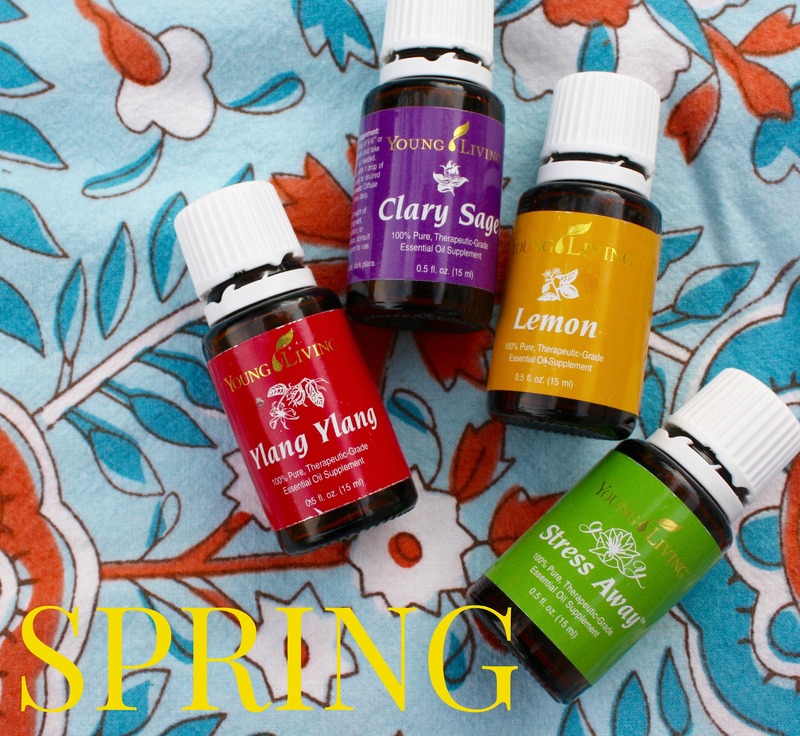 Lemon (2 drops) – Adding this will be perfect to help with and complement your spring cleaning! Stress Away (2 drops) – Absolutely could not live without this one… it brings peace and tranquility, taking the stress away. This has been a saving grace for my adrenal issues! It contains a soothing blend of copaiba, lime, cedarwood, vanilla, ocotea and lavender. 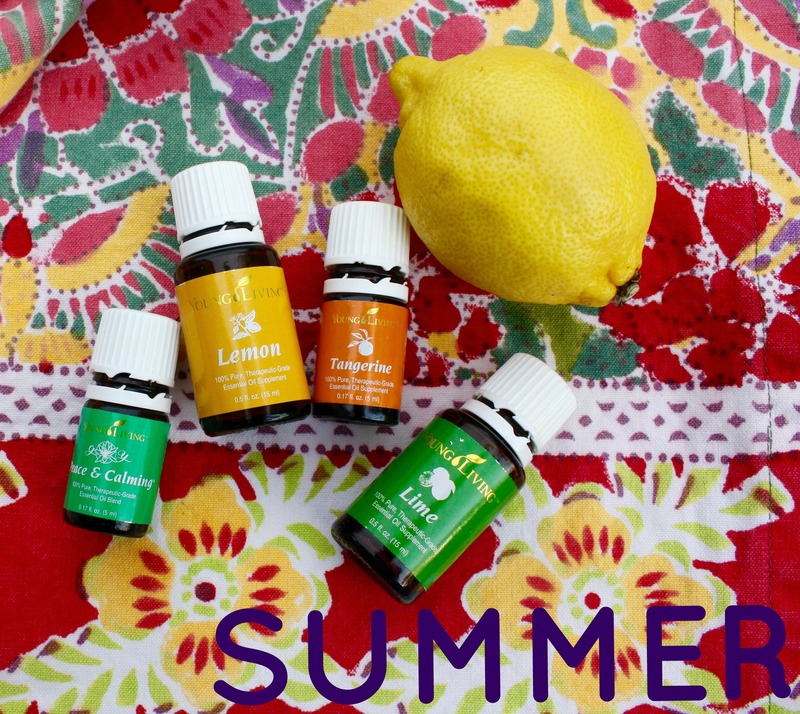 Variation: If you add lavender and remove lemon from this blend, it is perfect for bedtime relaxation anytime! Peace and Calming (2-3 drops) – This blend is amazing at uplifting spirits and creating emotional peace. I also hear it’s great for crazy children home from school for the Summer! It contains Tangerine, Orange, Ylang Ylang, Patchouli and Blue Tansy. Lime (1 drop) – Reminds me of sipping a margarita by the pool, this oil is great for clearing the respiratory system. 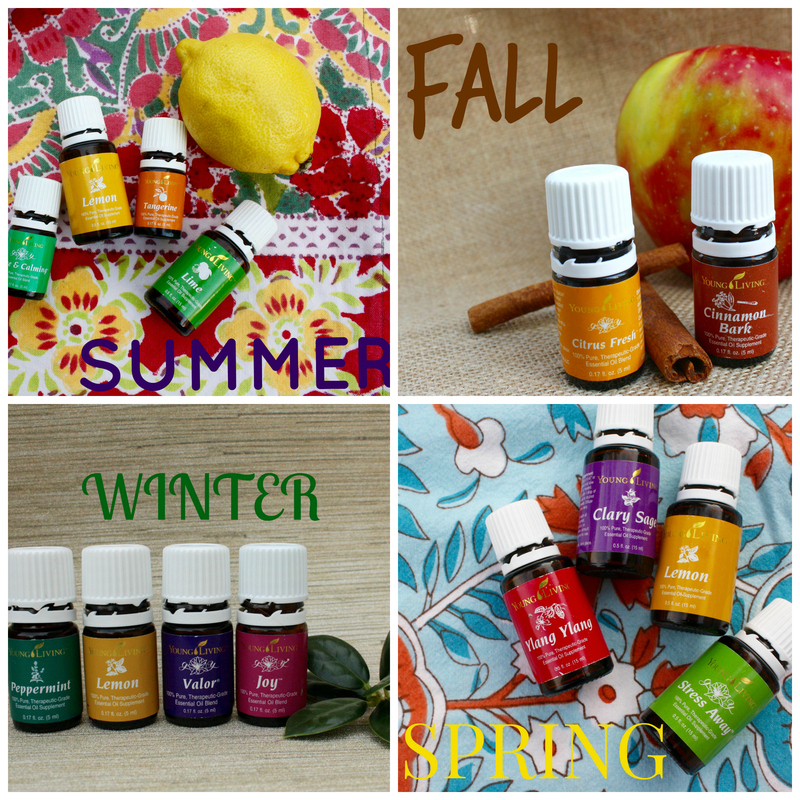 All of the suggestions are for blends of the essential oils listed – so to mix them all together using the amount of drops noted. They are even better balanced with each other! Happy diffusing!